There are many privileges of being a member of the WOM Club. 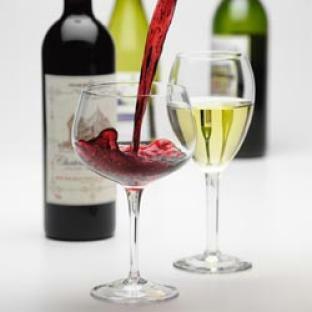 Each month you will receive two bottles of selected wines, alternating each month between two reds and a red and white. The selections almost always follow a theme and our purpose is to spotlight wines that fall out of the normal habits of most buyers. If you enjoy traveling, cuisine, history, meeting new people and a little geeky wine speak, you will certainly enjoy a membership. Plus, as a member of the WOM you will receive additional discounts on all wines and accessories. The Wine of the Month Club is a very reasonable $29 a month, plus tax and delivery if applicable. We encourage our members to pick up the wines at the store to check out new arrivals, specials and perhaps taste something new. The only commitment you make is a minimum of three months, after that you can cancel any time each month up to the date of billing. This a fantastic way to try new wines and broaden your wine tasting adventure. If you have questions, or would like more information about our Wine of the Month Club, please leave your name and contact information.